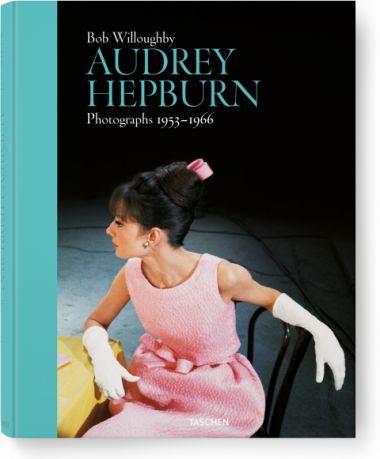 In one of photography’s greatest platonic love affairs, Hollywood portraitist Bob Willoughby captures Audrey Hepburn in the many facets of her beauty, elegance, and talent. 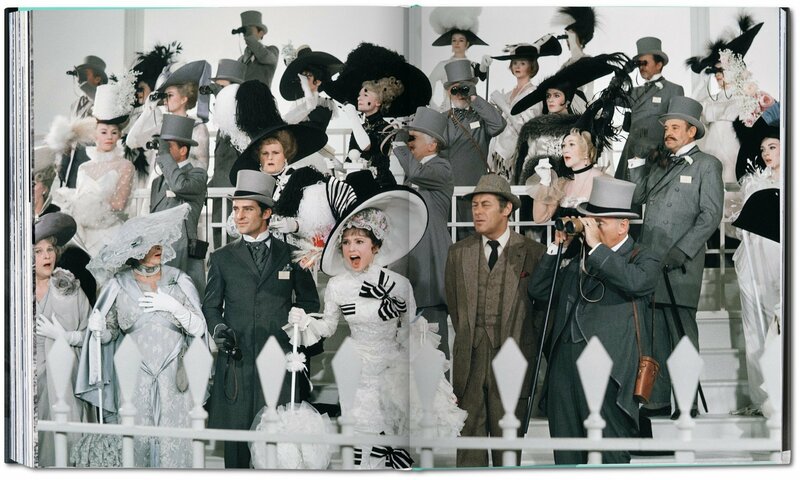 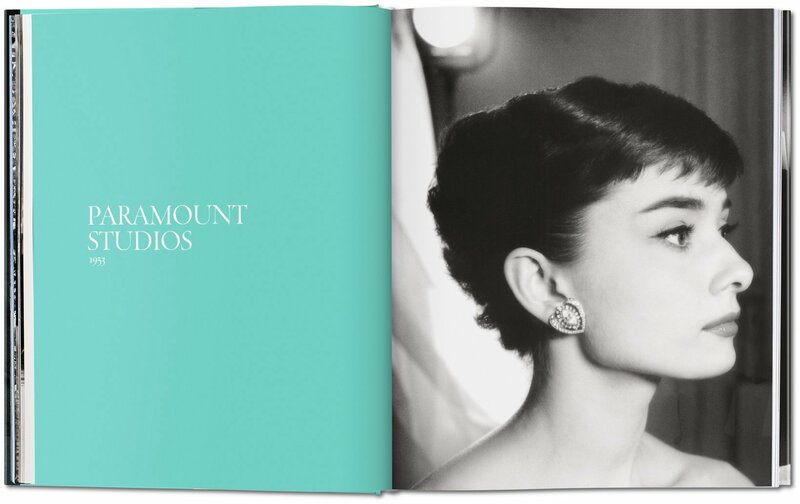 Over 10 years, his tender, poised images capture the star from her debut in 1953 to My Fair Lady, showing her on set, preparing for a scene, interacting with actors and directors, and returning to her private life. In his distinguished career as a Hollywood photographer, Bob Willoughby captured Marilyn Monroe, Elizabeth Taylor, and Jane Fonda, but remains unequivocal about his favorite subject: Audrey Kathleen Ruston, later Edda van Heemstra Hepburn-Ruston, best known as Audrey Hepburn. 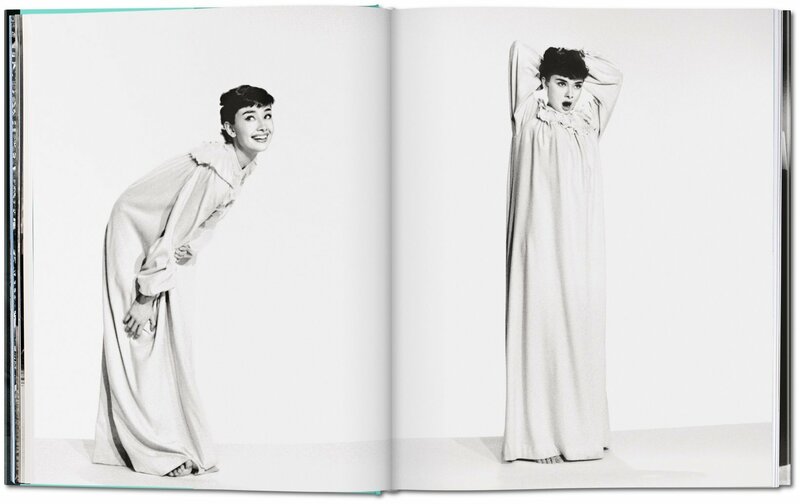 Willoughby was called in to shoot the new starlet one morning shortly after she arrived in Hollywood in 1953. 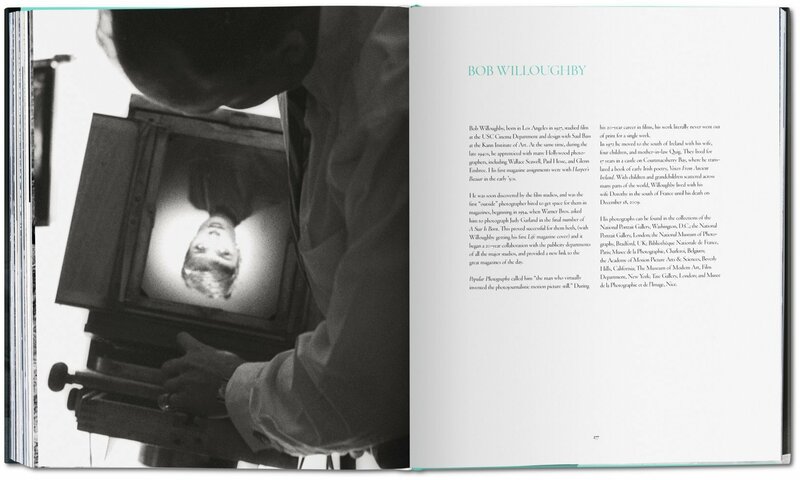 It was a humdrum commission for the portraitist often credited with having perfected the photojournalistic movie still, but when he met the Belgian-born beauty, Willoughby was enraptured. “She took my hand like...well a princess, and dazzled me with that smile that God designed to melt mortal men’s hearts,” he recalls. 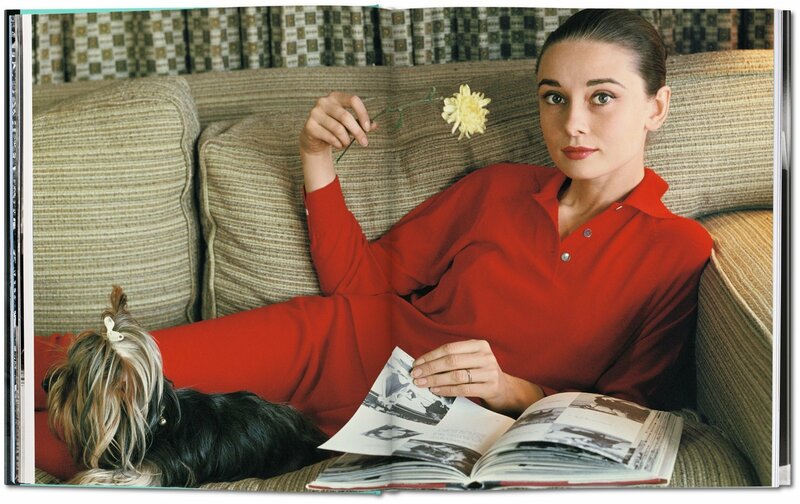 As Hepburn’s career soared following her Oscar-winning US debut in Roman Holiday, Willoughby became a trusted friend, framing her working and home life. 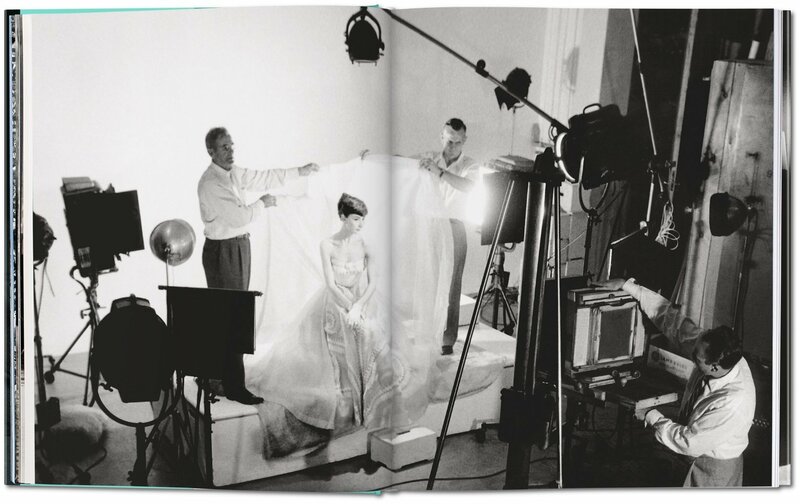 His historic, perfectionist, tender photographs seek out the many facets of Hepburn’s beauty and elegance, as she progresses from her debut to her career high of My Fair Lady in 1963. Willoughby’s studies, showing her on set, preparing for a scene, interacting with actors and directors, and returning to her private life, comprise one of photography’s great platonic love affairs and an unrivaled record of one of the 20th century’s touchstone beauties. 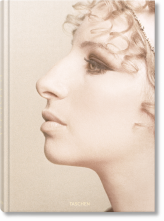 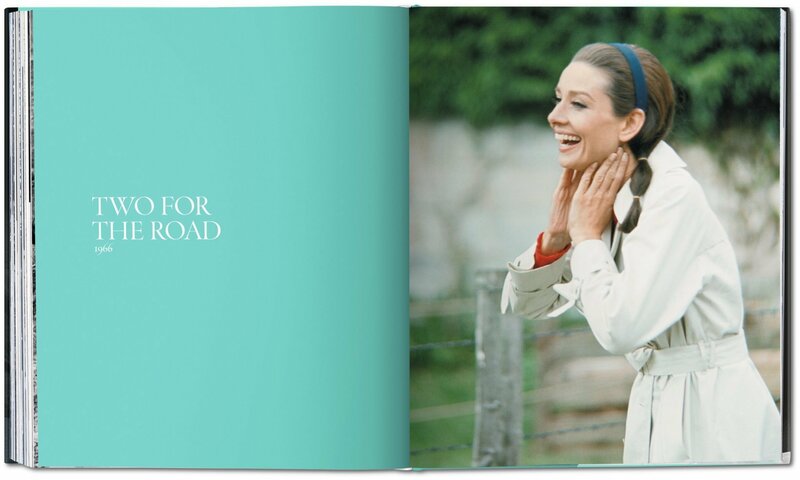 "TASCHEN is trying to kill us. A few years ago they released Audrey Hepburn (Movie Icons), one of the best little picture books I have ever seen, and now they're at it again. 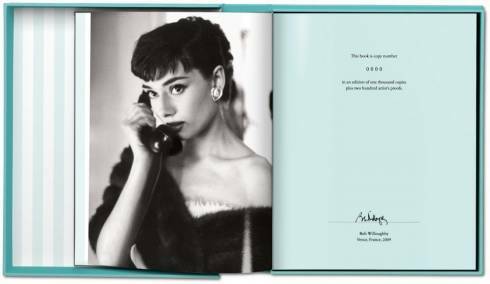 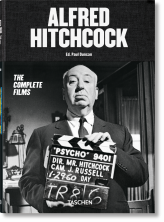 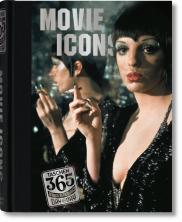 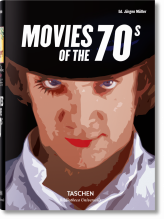 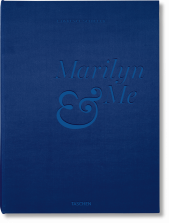 This time it's a monster collection of Bob Willoughby's work with Audrey, spanning 13 years, in a gorgeous hardcover book with a Tiffany blue spine."